And this time, I have it on camera. 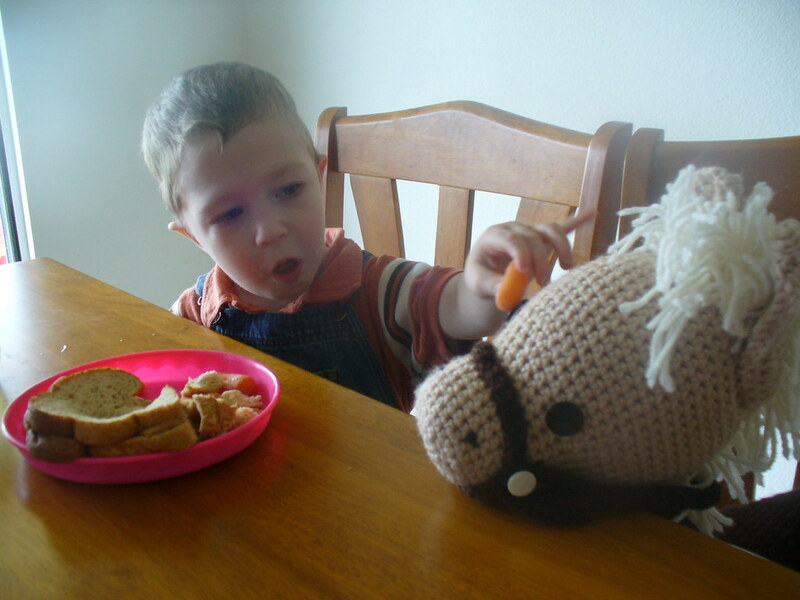 I made Max a pony for Christmas in 2005 (I got the pattern here, it’s well worth making…). Over time it’s gotten buried at the bottom of the toy bucket, but today the boys and I were playing upstairs and Max rediscovered it. He was really excited about it, too. From the day I gave it to him, he’s been upset that it’s not sturdy enough to stay up when he sits on it, but today after a few tries he realized that if he used the ears as handles he could keep it with him in approximately the right position as he ran around, horse dragging between his legs like a fat, floppy tail. Once he figured that out, he dragged it with him everywhere until we came down for lunch. Awwwwww. 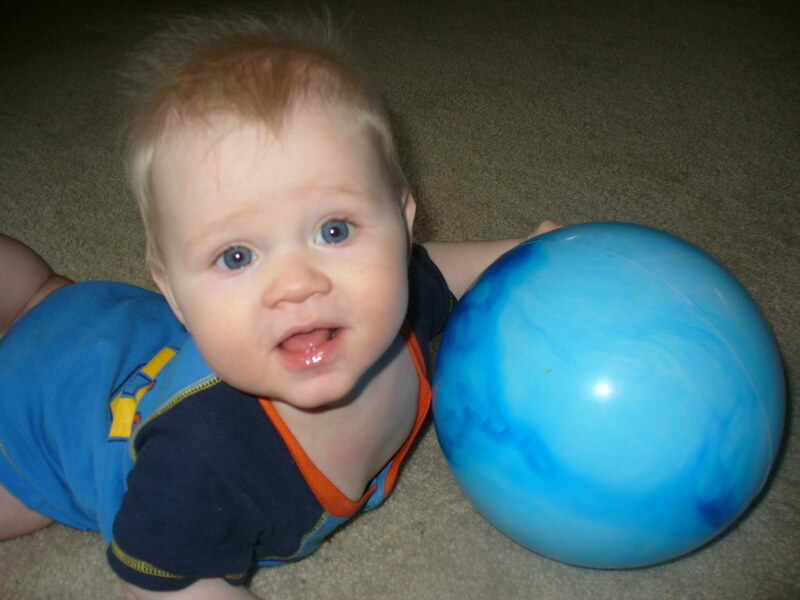 Oh yeah – Charlie is cute, too. And woah! I knit Chunky a stick horse for Xmas that year too I think….great minds think alike. Or maybe little boys just like horses? They ARE adorable!!!! 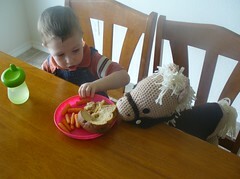 Love Max’s horsie! Just had to put in my 2 cents. They are freaking cute!